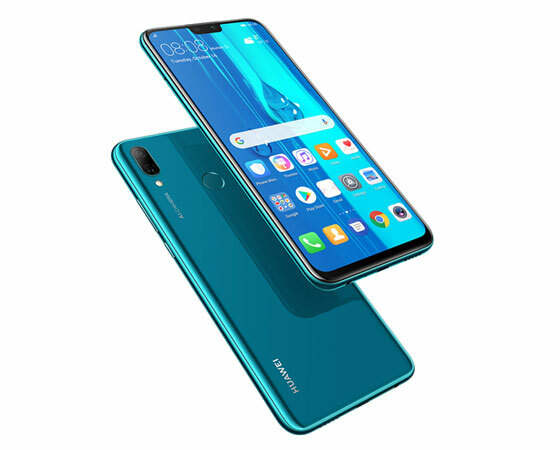 Just few days after the release of Huawei Y7 (2019) android smartphone, Huawei has recently launched Huawei Y9 (2019) smartphone, which is an upgraded version of Huawei Y9 (2018). The latest Huawei Y9 (2019) is another budget smartphone that comes with more upgrades and a whooping four AI-powered cameras, two each on the front and back. Huawei Y9 (2019) runs on Android 8.1 Oreo with a solid 4,000mah battery capacity. The latest smartphone comes in the trendy gradient glass build with other interesting features. Although Huawei Y9 (2019) is a mid-range smartphone, but when you check some of the features that come with this latest smartphone, I bet you will agree with me that this smartphone is better than most budget smartphones from other brands- including the almighty Tecno Camon 11 Pro. Though, this is my humble opinion as one who is into sales of mobile phone. You may have a contrary opinion to this. Let’s get on with reviewing this latest Huawei Y9 (2019) smartphone. WHERE TO BUY HUAWEI Y9 (2019) IN NIGERIA? As we mentioned earlier, Huawei Y9 (2019) is beautifully designed with an all glass build. The back design of this latest smartphone is highly reflective which makes the smartphone looks much like a premium smartphone. The smartphone is available in various styles which includes Midnight Black, Blue Swarovski, Aurora Purple, all having gradient coloration. Based on the display, the smartphone is a 6.5-inches smartphone with a resolution of 1080 x 2340 pixels. The smartphone also boast of bigger style of standard with some bezel at the side and the bottom. The Huawei Y9 (2019) comes with a solid 4,000mah battery capacity with a built-in fast charging technology. The battery power is just enough to keep your device on for two days fair usage, unlike the Tecno Camon 11 Pro that comes with 3750mah battery. Just one charge, then you can be rest assured of enough of on-screen time and a fair share of gaming, surfing the net, watching movies as well as other activities. On the camera, this latest budget smartphone hosts total of four cameras- 16MP and 2MP dual rear camera and a 13MP shooter with 2MP camera at the front. Both rear and front cameras can take high quality pictures even in a noisy background. Huawei doesn’t have to go outside to source for the SoC used on the smartphone because it has its own HiSilicon Kirin 710 taking care of business on the Huawei Y9 (2019). The device also comes with a mali-G51 MP4 GPU for the graphics. Huawei Y9 (2019) comes in two configurations that you can choose from , depending on your need and budget. You can get the smartphone with 4GB of RAM tagged with 64GB internal storage or 6GB of RAM running with 128GB storage space. The external storage for both configuration can be expanded up to 400GB using a MicroSD card. This latest budget smartphone runs on Android 8.1 Oreo and has EMUI 8.2 running at the side. Huawei Y9 (2019) is now available on Jumia Nigeria at a starting price of N76,900 Naira. You can also get the device at leading online stores and mobile phone shops near you.